The Sanwa MT-S FH4/FH3 4-Channel 2.4GHz Telemetry Radio System is the most feature packed radio in its class. The antenna of the Sanwa RX-482 receiver is already integrated into the housing. So, there's no more antenna cable that has to be fixed on the chassis. Therefore, the antenna cable can't be broken or disconnected anymore when it comes to a crash. 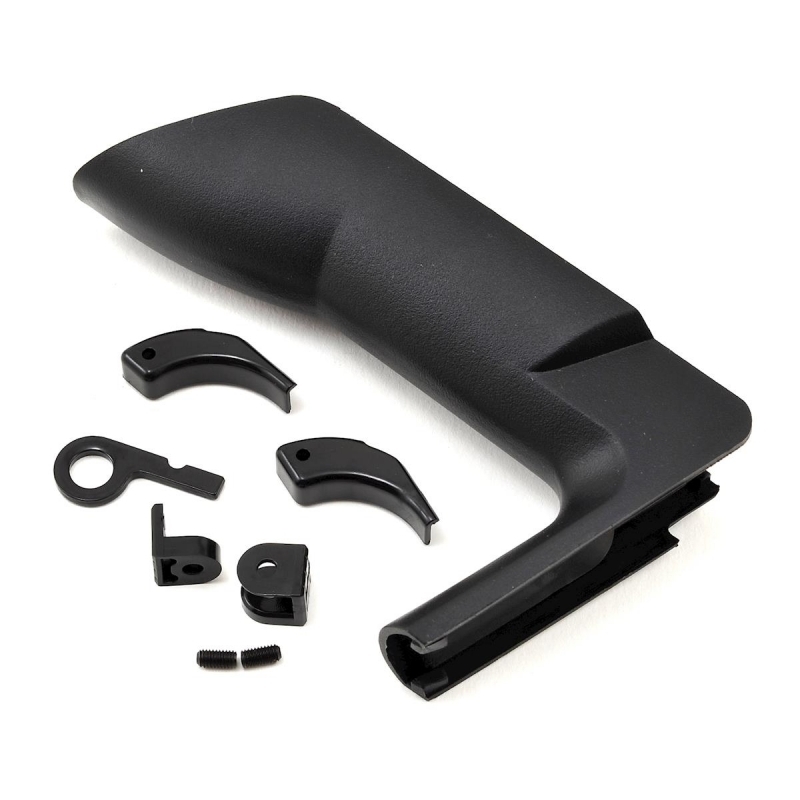 The integration of the antenna into the housing doesn't have any negative influence on the range and interference-free transmission. 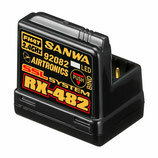 The Sanwa RX-482 receiver has 4 channels and can be operated in FH-3 or FH-4 mode. In addition, the RX-482 has the Sanwa Synchronized Link (SSL) function of the Sanwa M12 or Exzes-Z. 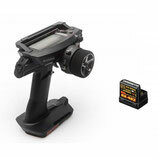 All speed controls of the Sanwa Super Vortex series can be programmed via the transmitter. Compatible to all Sanwa transmitters, that can be operated in FH3/FH4 mode, e.g. M12, M12S, MT-4, MT-4S. 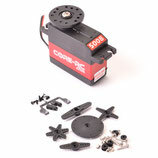 Ideal for rudder on 450 level helis, CCPM on 500 level helis, and steering servo on 1/12th and 1/10th scale PanCars. Servo digitale con motorizzazione brushless, equipaggiato con ingranaggi in acciaio e case in Alluminio. Compatibile con Sanwa SSR Mode. Servo digitale con motorizzazione brushless, equipaggiato con ingranaggi in metallo e doppia cuscinettatura. 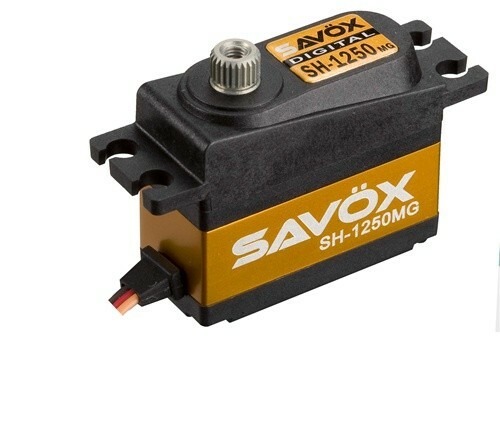 Servo low profile di nuova generazione, per 1/10 touring sia scoppio che elettrico. 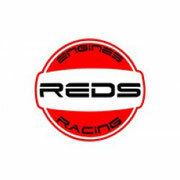 Servo di nuova generazione, per 1/8.